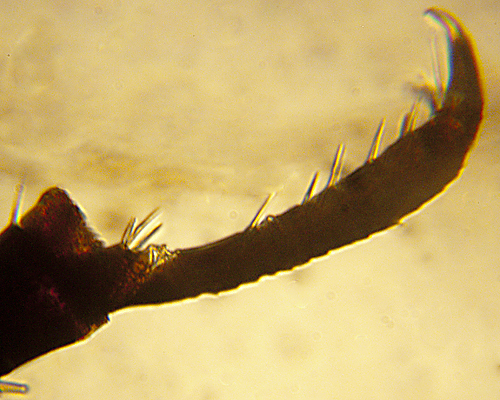 The micrographs below show dorsal and ventral views of an apterous Uroleucon pilosellae, and a close-up of the first and second tarsal segments showing the number of hairs. 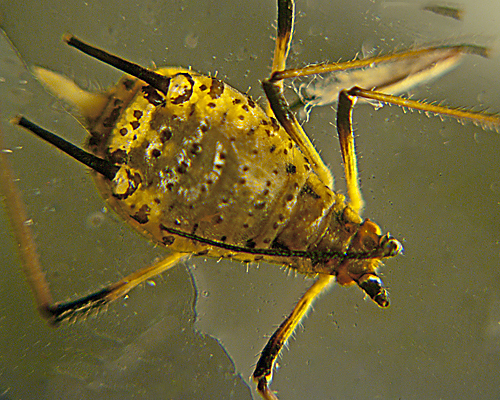 The clarified slide mounts below are of adult viviparous female Uroleucon pilosellae : wingless, and winged. Whether Uroleucon pilosellae is both specific to Hieracium pilosella and is the only Uroleucon regularly feeding on this plant is unclear. Heie (1980-1995) states explicitly that the otherwise very similar Uroleucon cichorii does not occur on this plant, whilst Blackman & Eastop (2006) record 5 Uroleucon species on it, including Uroleucon cichorii. 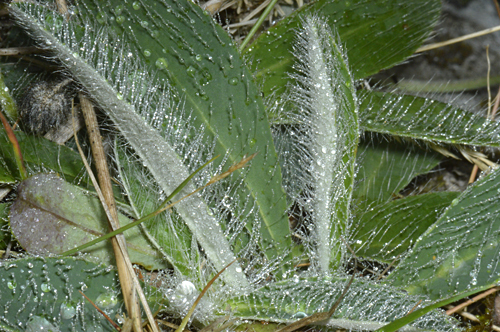 The leaves of mouse-ear hawkweed (Hieracium pilosellae) are setose above and on the margins, and white beneath with long soft hairs (see below first). 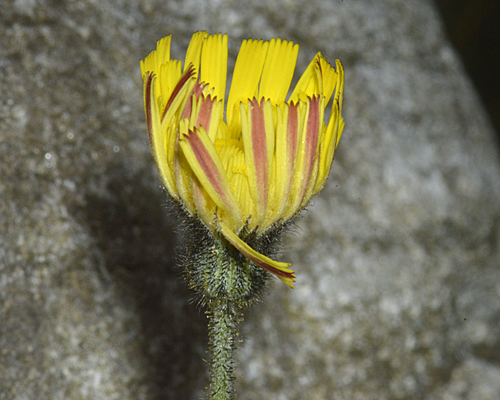 The flower bracts and stem are clothed with dense stellate, glandular and pilose hairs (see above second). 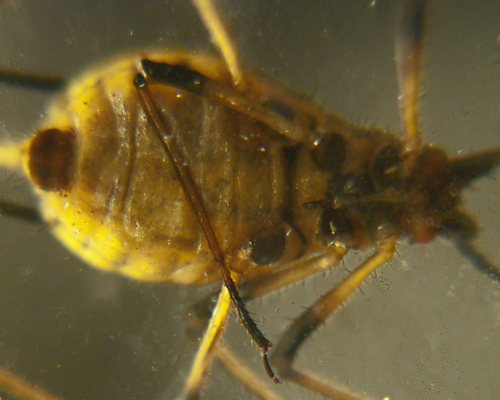 These characteristics are markedly different from other Hieracium species, so it would not be unreasonable to expect that a different species has evolved to exploit Hieracium pilosellae. Uroleucon pilosellae has been recorded on Pilosella officinarum, Pilosella caespitosa, Hieracium aurantiacum, Hieracium bauhini, Hieracium cymosum, and Hieracium echioides. 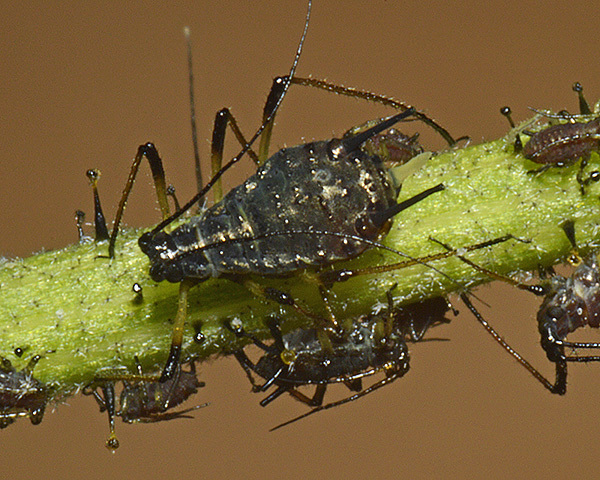 Blackman & Eastop list 18 species of aphid as feeding on mouse-ear hawkweed (Hieracium pilosella = Pilosella officinarum) worldwide, and provide formal identification keys. 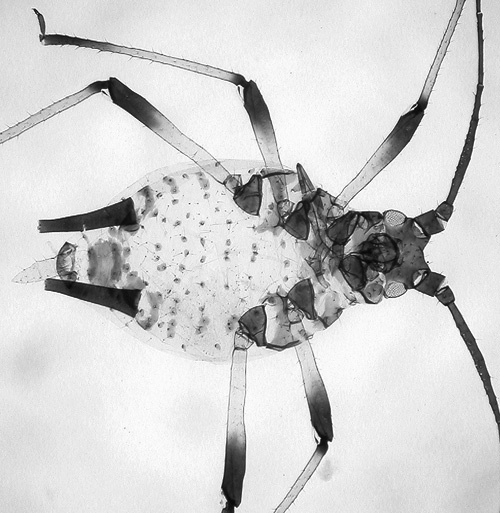 Of those aphid species, Baker (2015) lists 15 as occurring in Britain: Aphis gossypii, Aphis pilosellae, Aulacorthum solani, Brachycaudus helichrysi, Macrosiphum euphorbiae, Myzus ornatus, Myzus persicae, Nasonovia compositellae ssp. nigra, Nasonovia pilosellae, Nasonovia ribisnigri, Pemphigus bursarius, Trama troglodytes, Uroleucon cichorii, Uroleucon obscurum and Uroleucon pilosellae. 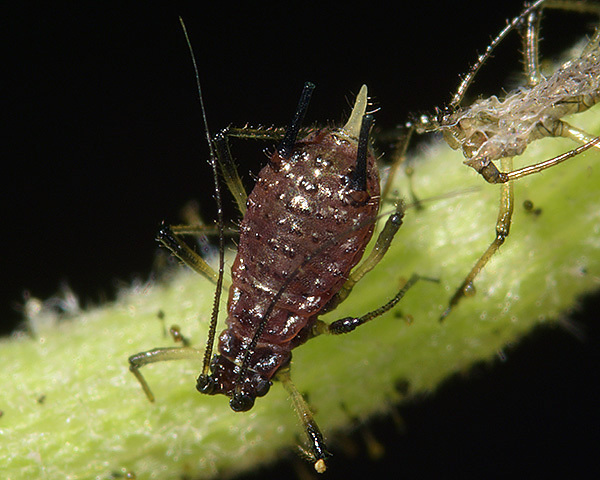 Blackman & Eastop list 13 species of aphid as feeding on orange hawkweed, fox-and-cubs (Pilosella aurantiaca = Hieracium aurantiacum) worldwide, and provide formal identification keys. 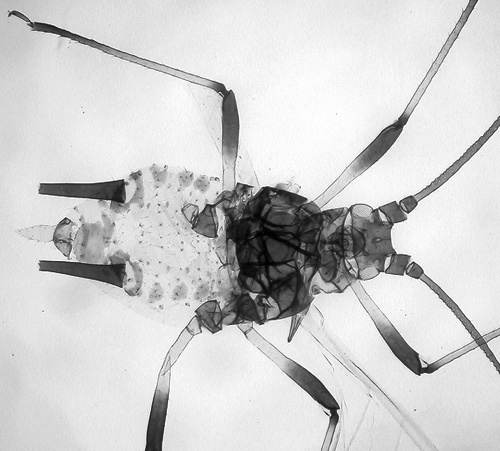 Of those aphid species, Baker (2015) lists 11 as occurring in Britain: Aphis fabae, Aphis pilosellae, Aulacorthum solani, Brachycaudus helichrysi, Macrosiphum euphorbiae, Nasonovia compositellae ssp. nigra, Nasonovia pilosellae, Nasonovia ribisnigri, Uroleucon cichorii, Uroleucon obscurum and Uroleucon pilosellae.